While you may not clock 26 miles on your Fitbit, if your work day has you feeling like the runner who crosses the finish line at the Boston Marathon, then you need these Reebok Women’s Guide Performance Cross Trainer RB354 Blue Steel Toe EH Athletic Work Shoes ad ... (see full details) (see specifications) #RB354. While you may not clock 26 miles on your Fitbit, if your work day has you feeling like the runner who crosses the finish line at the Boston Marathon, then you need these Reebok Women’s Guide Performance Cross Trainer RB354 Blue Steel Toe EH Athletic Work Shoes added to your work day. By combining industrial strength, running technology, and industry approved safety, Reebok has a winning combination of comfort and performance for your day. Lightweight cushioned, these women’s work shoes have rebound technology to add a spring in your step, while performance technology battles foot sweat and discomfort all day. You’re protected from the top down with ASTM approved safety features to keep you safe and work-site complaint. The steel toe caps are ASTM F2413 compliant to protect your feet from industrial accidents, particularly the kind that involve impact or compression. These navy blue and light blue leather uppers are strong enough to tackle industrial environments with ease and a touch of style. The dark grey toe guards on the cross trainers help protect the front of the blue athletic shoes, and the padded collars protect the back of your ankles from irritation. The performance moisture-wicking mesh linings draw sweat away from your feet where it’s either pushed out or evaporated for drier, cooler feet all day. The low-cut design offers freedom of movement for your ankles and reduces the overall weight of these ladies’ safety toe shoes. The wrap-around TPU heel counters improve the fit and torsional rigidity at the heel strike for more stability in your day. When you first put on these Reebok athletic oxford shoes, your feet will be greeted with the cushioning comfort of MemoryTech Massaging footbeds. These removable insoles customize your comfort by adapting to the contours of your feet and refreshing the cushion with each step. The R52 rebound foam midsoles actually propel your feet forward by absorbing the painful shock of impact between your feet and the floor and returning that energy to push your feet forward. Talk about adding a spring in your step! By reducing foot stress thanks to the shock absorbing nature of these shoes, you can enjoy more stamina in your day. The dynamic abrasion- and slip-resistant rubber outsoles offer grip in a wide variety of situations, protecting you from falls and slips. That’s not the only protection built in to these women’s safety toe shoes. The steel toe caps are ASTM F2413 compliant to protect your feet from industrial accidents, particularly the kind that involve impact or compression. While we hope you never have to know how protective these toe caps are, they are there when you need them. With no exposed metal on the leather uppers of these shoes and built-in protection, these slip-resistant shoes are also labeled “EH” or electrical hazard protecting. Safe, durable, and protective, these Reebok Women’s Guide Performance Cross Trainer RB354 Blue Steel Toe EH Athletic Shoes from Working Person's Store are the best combination of work-site tough and athletic comfort for everything you need to get through your marathon shift. 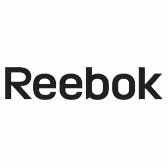 Reebok Shoes: Women's RB354 Blue Steel Toe EH Guide Performance Cross Trainer Athletic Work Shoes is being added to your cart.